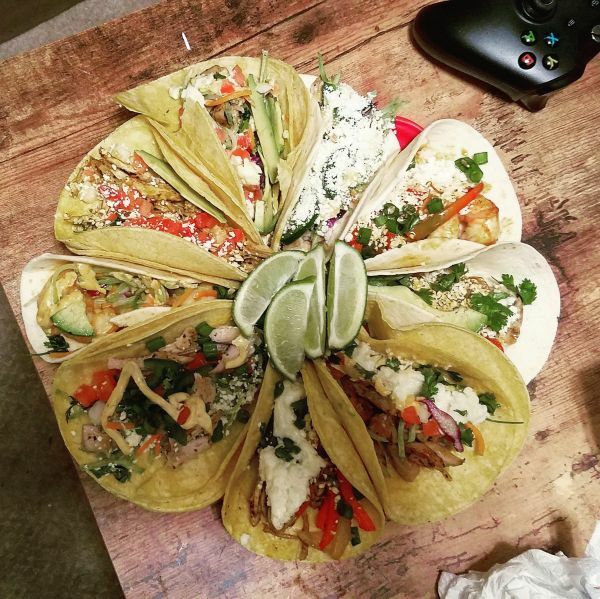 Taco night done right Took forever to make but was 100% worth it. A mixture of pork, chicken and shrimp tacos. Including your choice of flour or corn tortillas.